Your new facility or renovation will shine thanks to the positive impact of our comprehensive line of wood/laminate lockers. 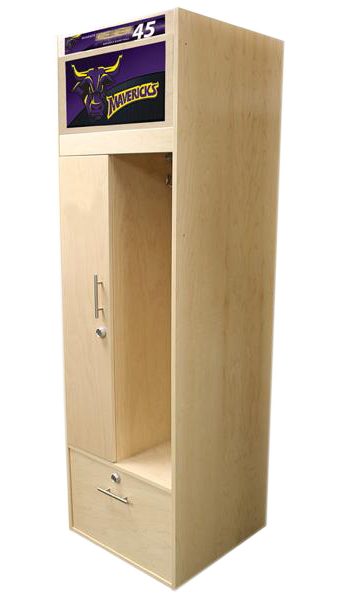 Our locker series are beautifully handcrafted in the USA by our superior craftsmen, who have been producing top-quality wood products for more than 28 years. Finish it off with custom branding that serves as a great recruiting tool.